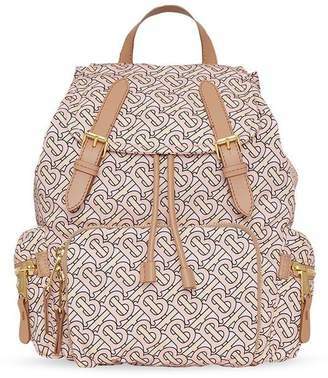 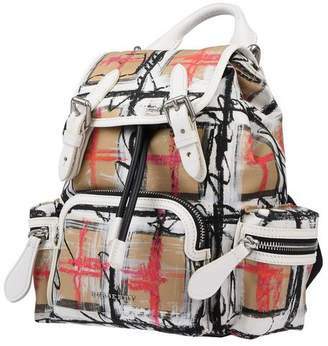 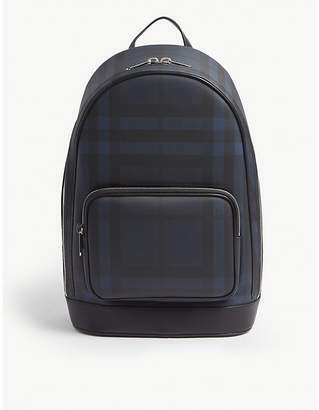 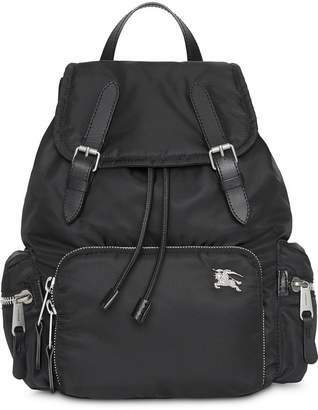 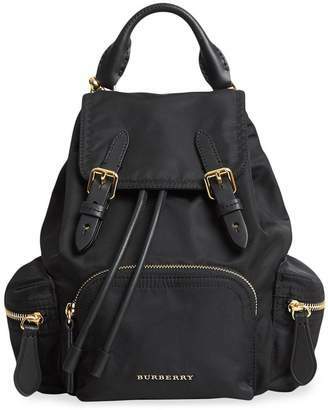 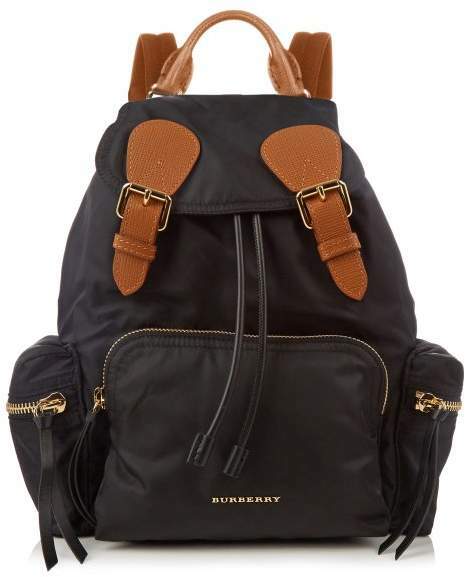 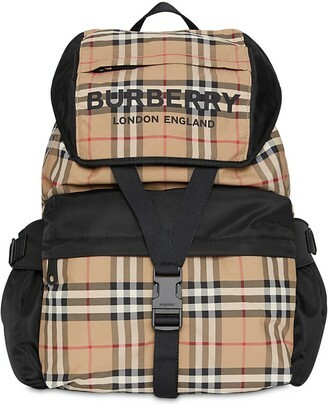 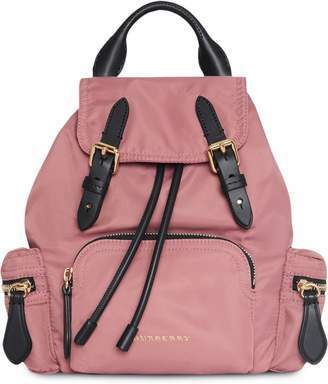 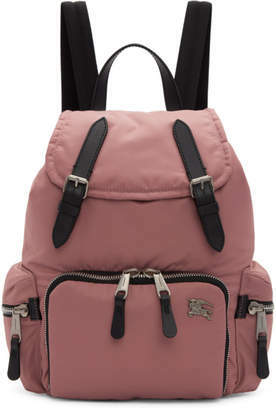 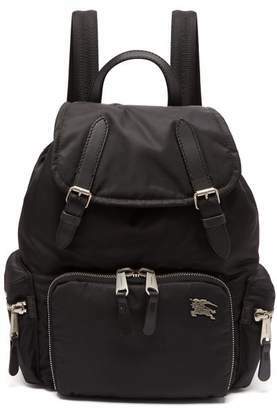 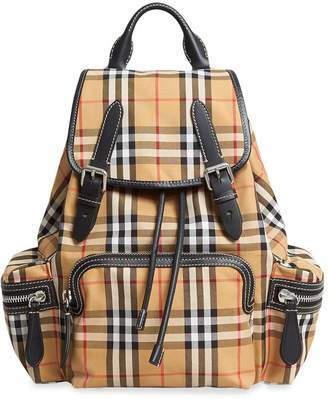 Burberry - This black nylon backpack is a sporty interpretation of Burberry's heritage style. 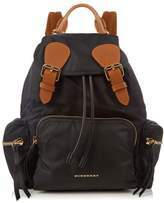 Made in Italy, it comes detailed with a tan-brown rolled leather top handle, adjustable shoulder straps, metallic hardware, and plenty of spacious pockets for all your essentials. 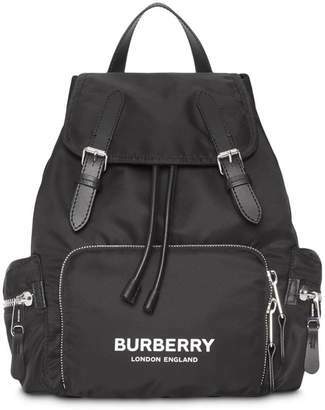 Open it up to reveal a black logo-jacquard canvas lining, and style with one of the house's signature trench coats.